“Three chords and the truth” has long been an affectionate moniker for a genre of music many either love or hate: country music. I get the negative sentiment. I grew up hating country music, or rather, hating all I could see in it – which in my mind was three chords and unending variations of “he’s sad, she’s sad, everybody’s so very sad.” Dismissed as a tribute to a redneck South where men lament trucks breaking down, dogs dying, and women running off, country music had grown out of favor with many who thought the South had simply grown beyond it. Boy, were we wrong. I freely admit to having fallen in love with country music in the last couple of years. I look back now and see that I underestimated its breadth and depth of musicality, and I missed much of the meaning in its lyrics. Country music is the celebration of a life lived simply, where the universal sentiments in all of us – love, nostalgia, anger, sadness, loyalty, and the desire to be happy in the moment – are on raw display. Now that I’m old enough to miss my childhood home, to remember how simple things were when I was young, and to have experienced real loss, the sentiments in country music resonate with me in a way they never could have before. Country music’s bare and basic nature, which often makes it appear dismissible for lack of complexity, is actually what makes it an intrinsic reflection of the human experience. To hear the truth in the music, I really had to listen. And what made me listen was the amazing music in the TV show Nashville. Say what you will about its fraught, dramatic representation of the country music industry, but you can’t knock the music. With the help of a music legend, T Bone Burnett, and a lot of previously little-known songwriters and singers, Nashville’s soundtracks have reinvigorated country music’s mainstream presence, especially for young adults. Still skeptical? No worries. I’m about to share some great country music with you. 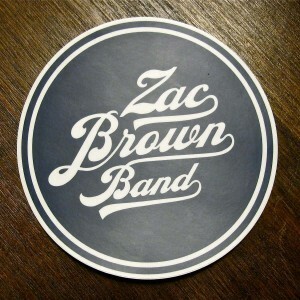 “Chicken Fried” by Zac Brown Band . (Starts at 0:47). This song is a great example of country music that celebrates a life lived simply. Lead singer, guitarist and band founder, Zac Brown, a born-and-raised Georgian, started his music career as a teenager by traveling with his dog to play small local venues throughout his home state. Now he travels with seven bandmates, playing sold-out concerts around the world, and he has a track record of three GRAMMY awards, and three platinum-selling albums. “Platinum” by Miranda Lambert. Revered by many as the current Country Music Queen, Miranda Lambert proves that women still have a powerful voice and perspective in a genre increasingly dominated by male artists. She has set and broken records with her collection of Country Music Awards and GRAMMY Awards, and this most recent title song acknowledges and decimates Southern and female caricatures with humor and style. “Copperline” by James Taylor. Is he a country, blues, pop, or folk artist? You decide, but I vote country. (This “country” artist I can claim to have loved all my life!) This song never fails to evoke that sense of nostalgia as Taylor looks back over his childhood growing up in North Carolina. It is difficult to summarize Taylor’s prolific musical career, but suffice to say, he is one of those rare musicians that has successfully transcended multiple generations, just as vocally talented today, at the age of 66, as he was when he wrote his first song at the age of 14, and when he became the first non-British artist to be signed to The Beatles’ label, Apple Records, at 19. “I Will Always Love You” by Dolly Parton. Whitney may have made it famous, but Dolly gave this song life when she wrote it, and she gave it soul when she recorded it. An amazing businesswoman and, ahem, iconic figure in the industry, Dolly is an artist you need to hear singing what is arguably one of the greatest love songs ever written. As with Taylor, summarizing Parton’s career is a challenge to brevity so instead, I offer you a lesser-known story behind this famous song. 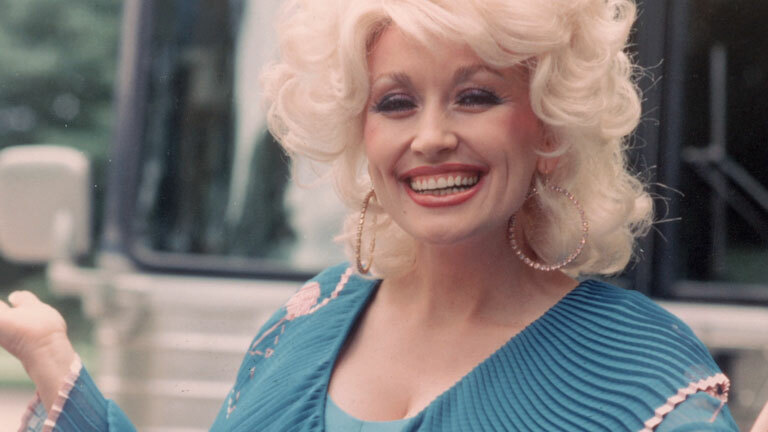 When Parton first recorded “I Will Always Love You,” Elvis Presley offered to help make Parton famous by covering it.Part of the deal, however, was that he wanted the rights to it as well. Parton told him he was welcome to sing it but that no, he could not have the rights. (“No,” a word that Elvis probably did not hear often in his career, especially from a woman). Millions of dollars and a long career later, Dolly Parton is known for being the genius behind her businesses and music and for leaving an indelible legacy to the country music genre (and for telling Elvis, no!). If this playlist has made you even a little bit more open to country music, then I encourage you to check out Garden & Gun’s new Back Porch Sessions, where both popular and up-and-coming Southern music artists are reviewed (music clips included!). You can also hear music from Nashville by checking episode song clips on the ABC Music Lounge (I recommend starting with “Wrong Song,” performed by Connie Britton and Hayden Panettiere – who knew they could sing?!). While I hope you can get more familiar with Southern culture by listening to country music from wherever you are, I also hope you’ll get the chance to come and experience it in person here in Atlanta. Whether or not country music is your “thing” (you should definitely give it a try! ), Atlanta has so much to offer on the spectrum of culture, the arts, and history. You may not know it, but Atlanta is one of only two cities in the world that is home to two Nobel Peace Prizes. Also interesting-the recipients of these prizes were both born and raised in Georgia. If you’re visiting us, we recommend you also visit the city’s Nobel Peace Prizes. First, in 1964, Martin Luther King, Jr. received the Nobel Peace Prize, making him the youngest recipient of the prestigious award at the age of 35. 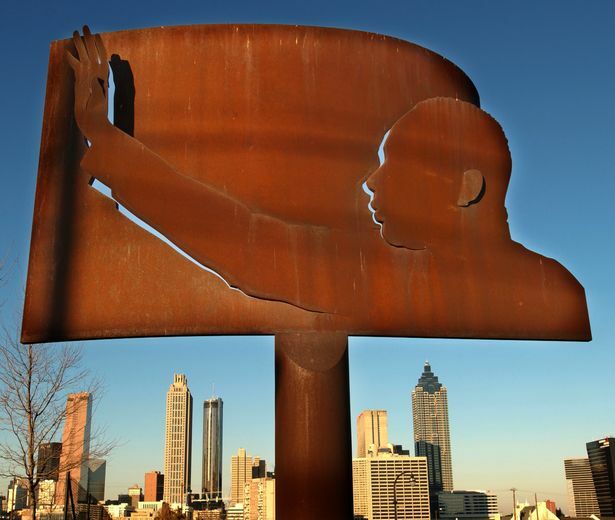 The award can be viewed at The King Center, along with many other exhibits dedicated to memorializing the pivotal role that Martin Luther King, Jr. and the city of Atlanta played in the Civil Rights Movement. The King Center is actually a part of the Martin Luther King National Historic Site, which preserves many locations that were important to Martin Luther King’s life, including his childhood home, the church where he preached, and the gravesites for both him and his wife. If you’re looking to see a lot in a short amount of time, I recommend using the recently published article, “9 Key Stops on a Civil Rights Tour of Atlanta,” as a guide. Located less than two miles away from each other, The King Center and the Jimmy Carter Presidential Library, and their namesakes, have immortalized Atlanta’s role in the history of this country and of the world. No matter your age, background, or beliefs, there is a lot to learn in the history of this city, and I hope you get to know it. After all, it’s just three chords and the truth. * Emory uses these abbreviations to designate graduation year. For example, Farish graduated from Emory College of Emory University in 2011.